Local nonprofit Keep Truckee Meadows Beautiful is spreading the word about what to do with Christmas trees when it’s time to take them down. 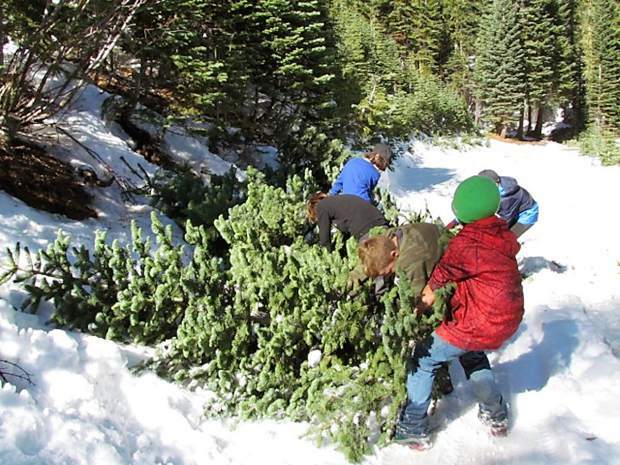 Keep Truckee Meadows Beautiful (KTMB) is hosting its 27th annual Christmas Tree Recycling program starting Tuesday, Dec. 26, through Sunday, Jun. 7. KTMB encourages residents to recycle their Christmas trees ornament and tinsel free, at one of their six community drop-off locations. KTMB is partnering with the Truckee Meadows Fire Protection District to include additional drop-off locations in the outlying communities of Lemmon Valley, Washoe Valley, and Spanish Springs. The drop-off will be everyday from Dec. 26 through Jan. 7, open from 9 a.m. to 4:30 p.m. Drop-off locations include Bartley Ranch Regional Park in Reno, Rancho San Rafael Regional Park in Reno, Shadow Mountain Sports Complex in Sparks, Truckee Meadows Fire Station 17 in Spanish Springs, Truckee Meadows Fire Station 223 in Lemmon Valley, and Truckee Meadows Fire Station 16 in Washoe Valley. Although the program is free to the public, donations are accepted. A $3 donation is suggested to help keep the program going for future years. This program is for residents only. Commercial tree lots can take their trees to RT Donovan in Sparks. Trees must be free of stands, nails, tinsel, lights, and all other decorations. Flocked trees are not accepted. Volunteers are still needed to help at the Bartley, Rancho, and Shadow Mountain locations. To sign up to volunteer, visit ktmb.org/volunteer or call (775) 851-5185. KTMB’s Christmas Tree recycling is coordinated by keep Truckee Meadows Beautiful and is made possible by the NV Energy Foundation, city of Reno, city of Sparks, Nevada Division of Forestry, Truckee Meadows Fire Protection district, Washoe County, Tahoe Trail bars, and Tholl Fence.